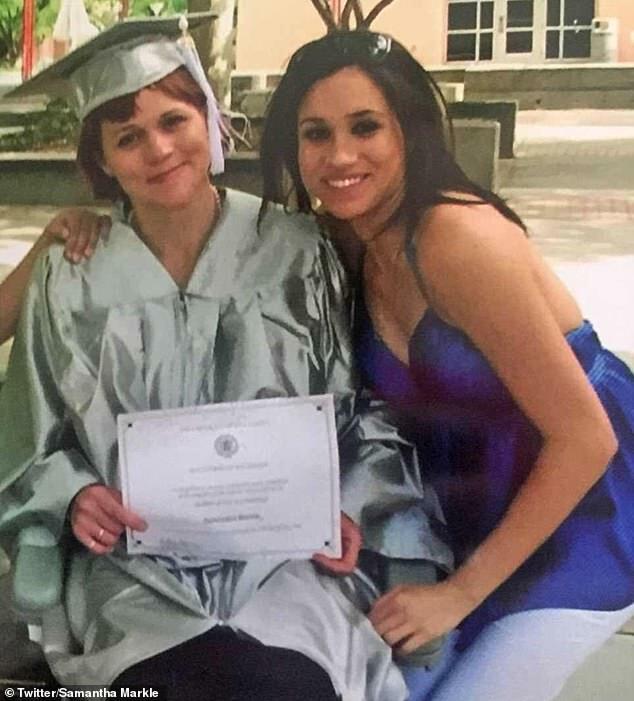 Samantha Markle has once again hit out at Meghan Markle, claiming her half-sister would care about her if she had $600million. Her newest Twitter rant came hours after a letter Meghan sent to their father Thomas Markle was published in the Mail on Sunday. ‘I pleaded with you to stop reading the tabloids. On a daily basis you fixated and clicked on the lies they were writing about me, especially those manufactured by your other daughter, who I barely know,’ the letter read. 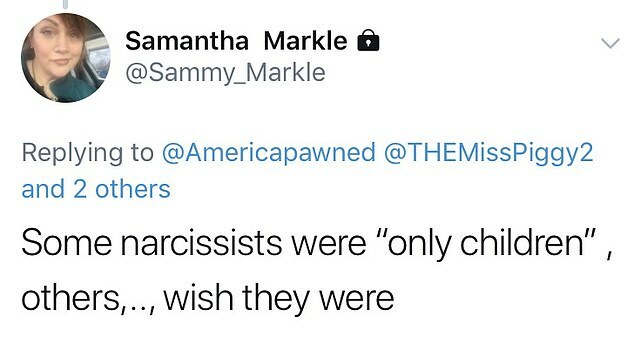 Hours later, Samantha was ranting about Meghan on her private Twitter account, calling her half-sister a ‘narcissist’. 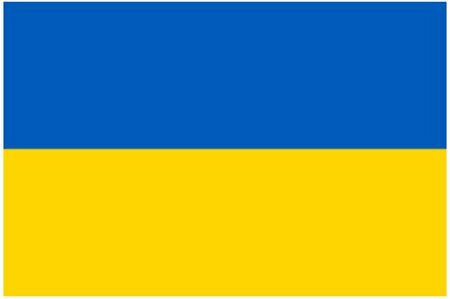 ‘Some narcissits (sic) were ‘only children’, others…wish they were,’ she wrote. 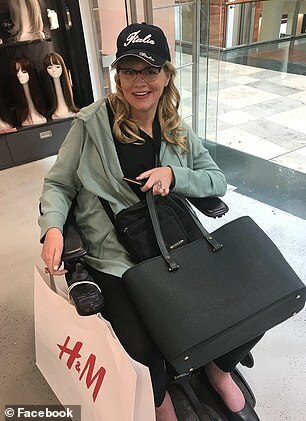 One Meghan supporter hit back that Samantha needed to ‘help herself’. ‘It is not Meghan’s responsibility to keep Samantha in the lifestyle she thinks she should have. Also I have seen people with worse disabilities than her’s and they work #excuses,’ they wrote. 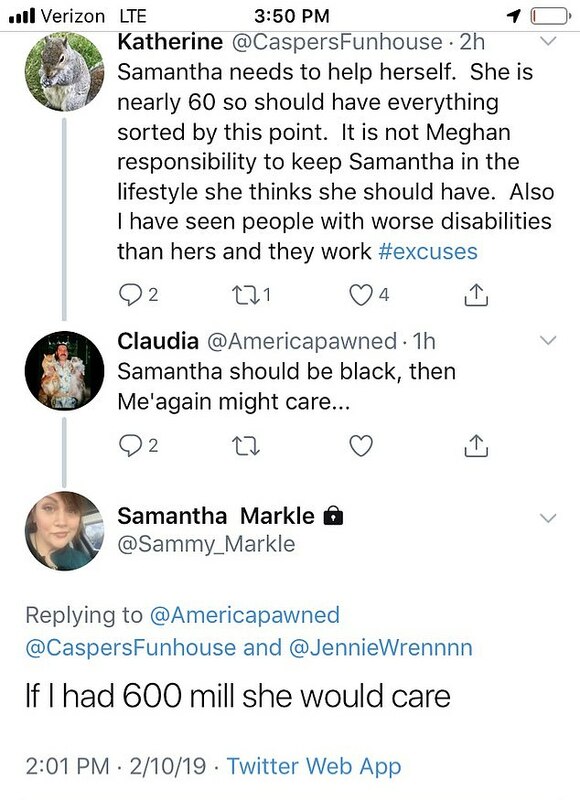 One of Samantha’s supporters replied: ‘Samantha should be black, then Me’again might care’. 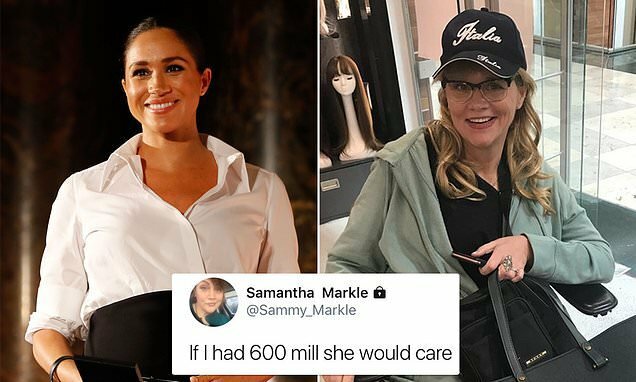 ‘if I had 600 mil she would care,’ Samantha responded. 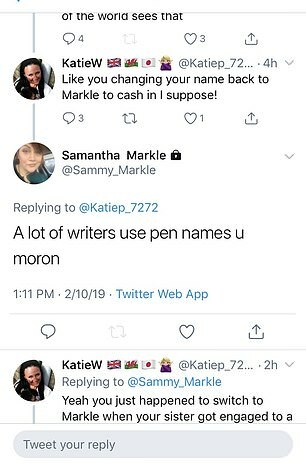 Samantha also had a war of words with one Twitter commenter who accused her of changing her last name back to Markle to ‘cash in’ after Meghan became engaged to Prince Harry. 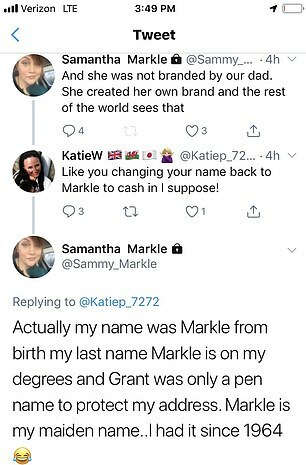 ‘Actually my name was Markle from birth my last name Markle is on my degrees and Grant was only a pen name to protect my address. 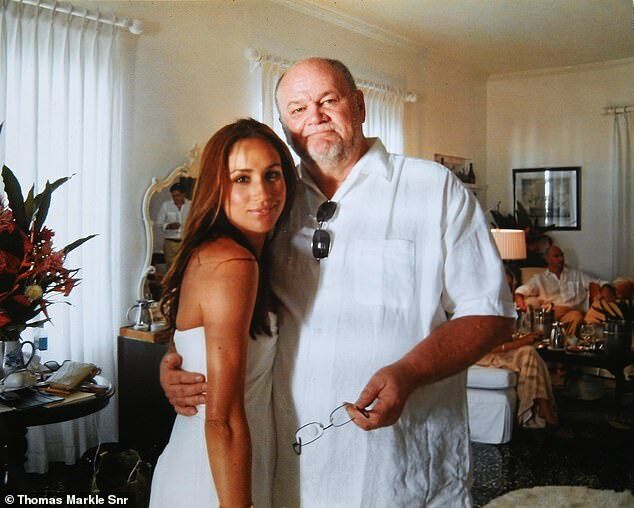 Markle is my maiden name…I had it since 1964,’ Samantha responded. ‘A lot of writers use pen names u moron (sic)’ she shot back in another tweet. 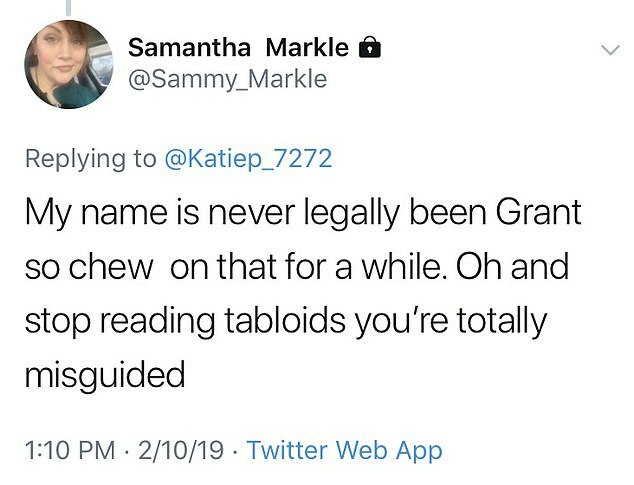 In yet another tweet, Samantha responded that Meghan had not been ‘branded’ by their father. ‘She created her own brand and the rest of the world sees that,’ she added. 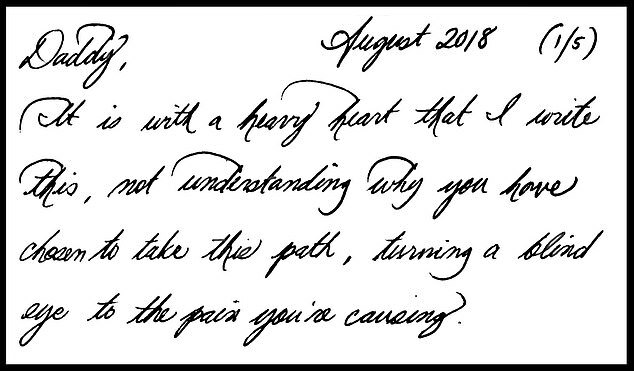 Meghan’s bombshell five-page letter, sent in August last year, lays bare the true depths of the Duchess’s estrangement from her father. In elegant script, she accuses him of breaking her heart ‘into a million pieces’ by giving interviews to the press, fabricating stories, and attacking her new husband. The Duchess also admonishes her father, in anguished tones, for siding with Samantha while she ‘silently suffered at the hand of her vicious lies’. Earlier this week it was revealed that Meghan burst into tears after discovering Samantha is planning to write a book about her. The Duchess of Sussex, who is around seven months pregnant, was upset because she felt she was being ‘taken advantage of’, according to a close friend with knowledge of the situation. Earlier this month, she announced she would be writing a second book which, like the first, will be called, ‘In the Shadows of the Duchess’. Meghan has told friends that she stopped reading interviews with members of her family after finding out about the first book two years ago and tries not to look at gossip about herself. ‘She stopped reading things after finding out about her sister’s book,’ the friend told DailyMail.com. ‘She cried when she found out about it.